If you aren’t sure what type of therapy would suit you, having an initial assessment can provide the space needed to discuss your needs and for you to hear about the various options so that you can decide what feels right for you. An assessment also helps you get a sense for whether the ‘fit’ between you and your therapist feels right. A psychological assessment will provide ample opportunity for you to ask questions and to think together about what will be most helpful for you at this time. Each individual will of course have different needs and resources and the therapy process is a dynamic one that often evolves over time. The different therapies described below are not mutually exclusive and a skilled therapist will be able to tailor a treatment package to suit your needs. Here at Brighton Psychology Service we have close links with other colleagues in the local area and in neighbouring cities also offering therapy and supervision, so if we don’t feel we can offer you what you need at this time, we may be able to direct you to someone else who can help. 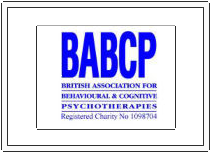 If you would like to meet for an initial psychological assessment, please make contact either by email or phone.